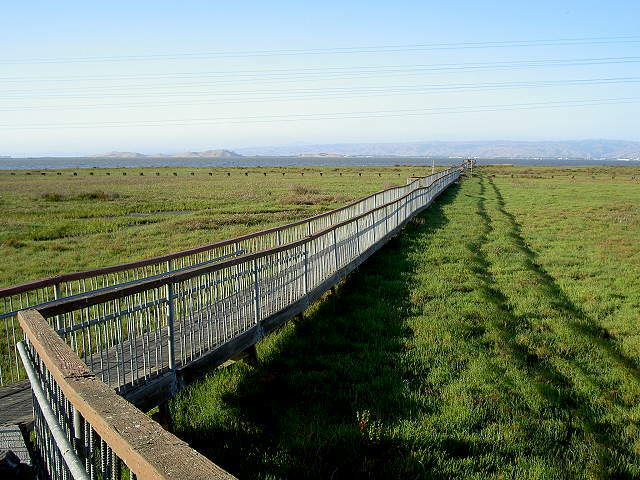 It is impossible to describe any one or two particular runs in the Baylands. 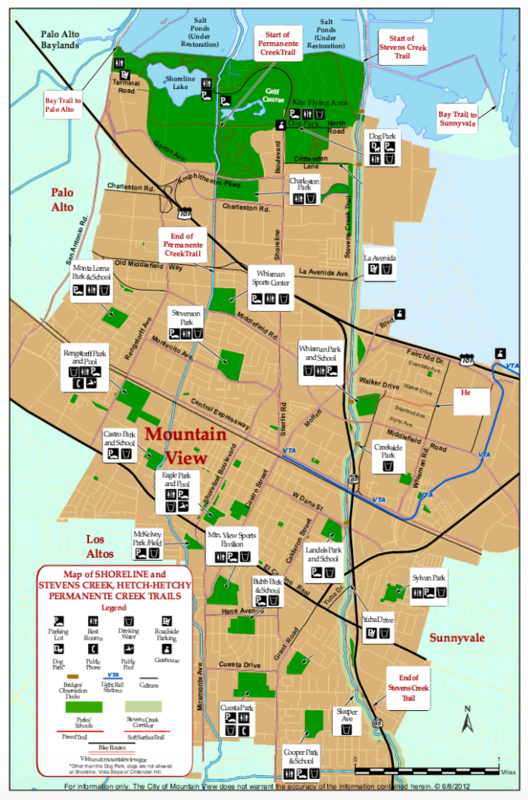 There are three main sections of these trails, each described below: East Palo Alto; Mountain View (near Google and NASA); and toward San Jose (the Alviso trails). 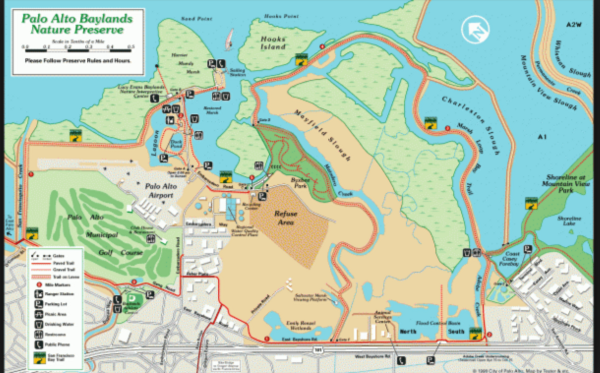 The “Bay Trail” is an anchor but is not seamless. Below, from north to south, we have described some of the best options for running. 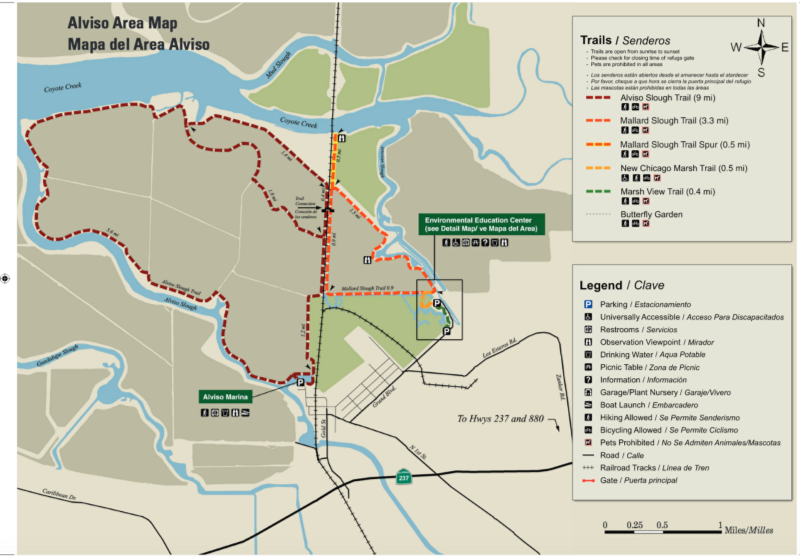 The closest section to San Jose the Alviso Trails, 8 miles east.